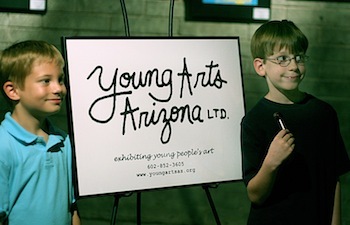 Learn More About Young Arts Arizona Ltd.
Young Arts Arizona Ltd. publicly exhibits the art of at- risk children with the goal to increase their positive self-concept. We work with children and youth who have severe and terminal illnesses, conditions, and disorders; children who are homeless, abused, drug addicted, detained, orphaned, mentally disabled, poor, learning challenged or are in some other way at risk. Through art creation we encourage children to tell stories, share their deepest feelings and improve their self-image in times and circumstances in which they feel weak and disempowered. Through art exhibition we validate the children’s work, which has a powerfully positive effect on their self-worth. Young Arts is a community organization whose work and service is based on collaboration. Our collabora- tors include teaching artists, 49 schools, 2 school districts, and 35 social agencies, all of whom provide children’s art through their curricula or art workshops. Young Arts exhibits children’s art in 29 collaborative venues, which serve as publicly accessible galleries. Every year we show over 80 exhibitions in public buildings that are visited by great numbers of the community. These galleries include Arizona State Capitol, Arizona State Senate, Arizona Supreme Court, Maricopa County Juvenile Court Systems, several hospitals, Phoenix Symphony Hall, and many more. 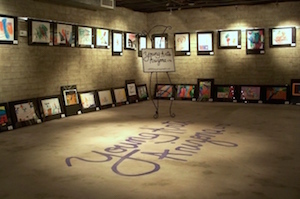 Young Arts has its own gallery – Purple Space – in the downtown Phoenix Art District. Four times a year we host opening receptions as part of First Friday art walk. 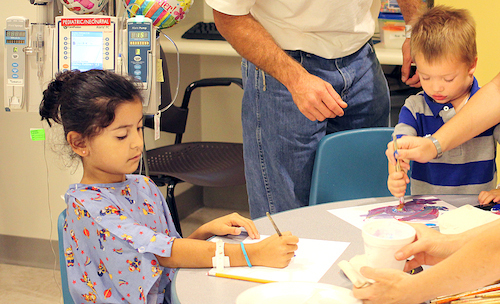 Our young artists are celebrated by their families, friends, and the community. 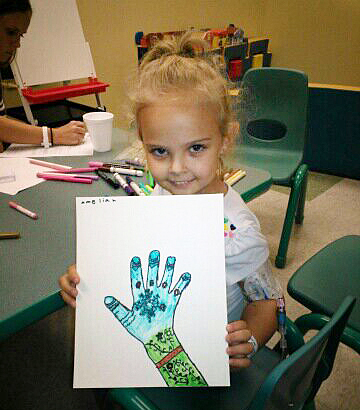 Young Arts conducts five ongoing children’s art programs led by teaching artists: Cardon Children’s Medical Center, Ryan House (respite and end-of- life care for children with terminal diseases), UMOM (transitional shelter for homeless families), Maricopa County Juvenile Detention Centers, and Children’s Rehabilitative Services. 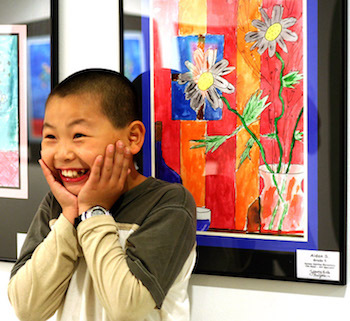 Since 1998, Young Arts Arizona has exhibited 18,500+ pieces of children’s art in almost 800 exhibits. Nearly 13 million people have seen the art by at-risk children exhibited by Young Arts in public buildings. This enormous community outreach advocates for the importance of children’s art and raises awareness of the children’s challenges and hardships. Young Arts Service to the community is unique and entirely funded through grants and donations.